St Fachtna's Silver Band : More than just a fundraiser! More than just a fundraiser! 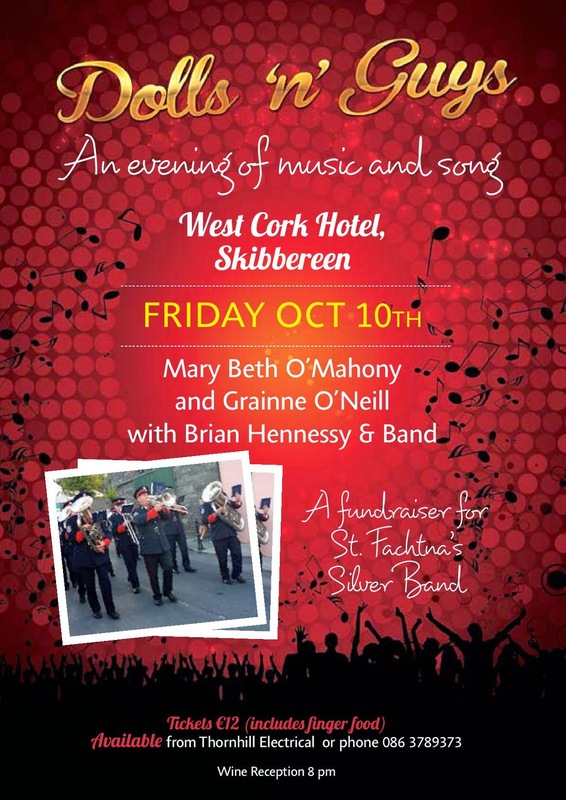 Join us at the West Cork Hotel in Skibbereen from 8pm on October 10th, where St. Fachtna's Silver Band will open the evening in style, followed by music and song with Mary Beth O'Mahony, Grainne O'Neill , Brian Hennesy and band.